The martial arts can be one of the most confusing sporting disciplines in the world, totally distinct from all other sporting connotations. You can only play football one way, tennis, rowing, running, gymnastics, and virtually every other sports discipline is practiced to a universal conformity. Whereas the Martial art which is a generic term generally used to cover combat forms from all over Asia, is broken down into many various styles and forms of fighting. The term martial art as used today is meant to indicate fighting formats that originated in South East Asia. There are many colourful and exciting disciplines encompassed within these indigenous fighting arts. From Japan we have Karate, jiu jitsu, judo, Aikido. From Korea there is Taekwon-do, Hapkido, Kuk-Sool –Won. From Thailand there is Muay Thai (Thai Boxing). Bando from Burma (Myan-Mar) from China there is another generic term used that of Kung fu. This name/term is used to encompass at least five hundred different styles of empty hand fighting. The list is endless, and then here in the West we have the many various forms of wrestling and boxing. From France we have La Savate. It would seem that to the uninitiated there is a plethora of combat systems that would seem endless. All fighting and competing under different methods and rules systems. In the early 1970’s with the advent of the Bruce Lee films the many Eastern fighting systems were brought to the attention of the world audiences. And what occurred was one of the strangest and most unique sports happenings ever experienced. Almost within two decades the many varied martial arts systems experienced a boom time, which resulted in millions and millions of practitioner’s worldwide taking up one form or another of martial arts discipline. At first people used the martial arts for getting fit, keeping healthy, esoteric purposes. But it would seem only natural with man’s urge to test him/herself that these art forms took on the mantle of competition. Almost overnight various formats were developed to formulate a competition link between ancient fighting disciplines and modern sporting concepts. Unfortunately at world level there was no infrastructure, no set format of rules, the elements of danger were still included in the combat forms. As the martial arts disciplines grew in popularity mans urge to meet his/her peers on the competition floor demanded conformity, a universal rules system, and a method that would ensure the practitioners safety whilst competing at sporting level. Various groups came forward in an attempt to unite all these Eastern martial disciplines under one set of rules that would cover the many and various forms of combat all under one umbrella. After many failures, petty squabbles and political in fighting major world organization’s were formed to overlook the sport at its many levels. One of the first of these was the World Kickboxing Council. (W.K.C. ).At first other world bodies looked on to see if the W.K.C. would fare any better than the organizations that had come before. 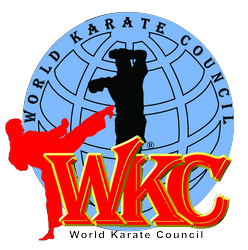 But within a few short years the WKC had expanded its area of operations to eventually create a global network of countries all within membership with representatives each running successful organizations on all five continents. They created (through its members) National and international competitions and tournaments whereby martial arts practitioners could meet their peers on the mats and in the rings to take their skills and talents to world champion status.Then by the late eighties the sporting connotations of the martial arts had exploded beyond belief and tournaments were being held almost every week in all countries of the world. These took over both in number and interest from the ring sports. These connotations had names such as Points Karate, Semi-Contact, Forms, and Light Contact. And suddenly the mat sports were born. The American Sports Magazine (Sports Today) opined that the martial arts were the third most practiced sport in the world today, indicating that a general consensus estimation that there was in excess of 20 million people globally training in one form or other of martial art. The original World Kickboxing Council gradually fell into the doldrums to consequently vanish without a trace along with a few other world bodies. The World organizations that remained incorporated these new mat sports into their existing framework. But like everything in the world sometimes when things get too big they begin to fragment. This is what started to happen with the organizations that were left. Add to this in some of the World organizations the mat sports were hijacked and their unscrupulous officials began to siphon funds away from the sport. As a result of this and trying to keep a writhing giant that was the sport under control standards began to fall. Bad refereeing continued rising prices, dis- organization in staging championships and of course falling participation in the number of competitor entries. It was then that a group of very experienced martial arts men and seasoned promoters said ‘enough was enough’ they resigned and stepped out of these world bodies and went off to form a new world organization with the sole interest of putting the mat sports first and foremost on the world forum. They resurrected the W.K.C. (World Kickboxing Council) and introduced points karate and forms / kata into the existing divisions to take the sport back to how it used to be. From this rebirth the new W.K.C. can now boast of being the only Sanctioning Body for mat sports only Points Karate, Light Contact Karate, and Forms in the world. Their mission statement and prime directive is ‘the competitor always comes first’ Their first and continuing aim is to lower prices, improve refereeing and judging, and be at the forefront of developing ideas for sport safety, and technique advancements in tournaments and competitions. But most of all to bring the sport back to being Fun! Each country within membership of the W.K.C. has a president who is responsible for that countries implementation of the rules and regulations. And to overlook the growth and practice of the martial disciplines as a whole. The W.K.C. has in place, a rules committee, a health and safety committee, a child protection officer, a refereeing structure, and always each year there is an annual world council meeting. The Council World Congress discusses the many aspects of change within the sport, it designates via the democratic principle of votes new rules and regulations, updates and innovations within the sport as they come to light.